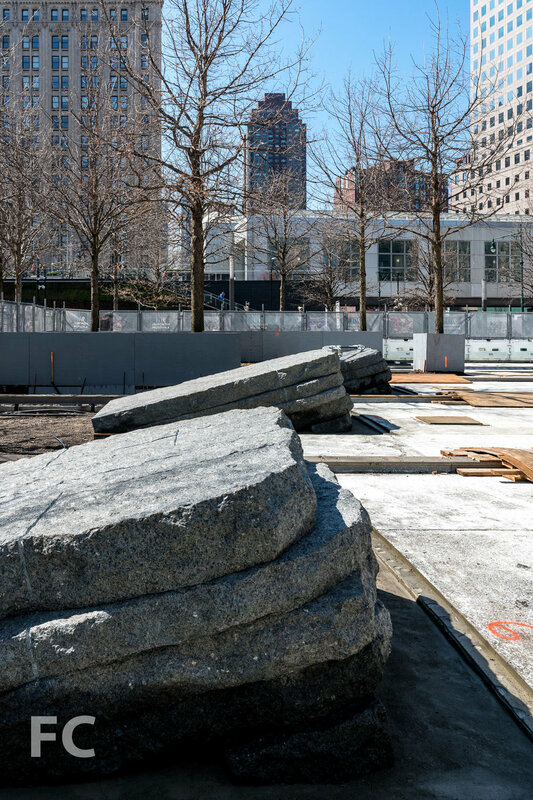 Over the weekend, the monoliths were lifted into place at the 9/11 Memorial Glade, a new section of the memorial honoring those who worked on the post-9/11 recovery efforts and others who have died or been affected by 9/11-related illnesses. Designed by Michael Arad, designer of the Reflecting Absence memorial and partner at Handel Architects, and Peter Walker, the Memorial Glade features six monoliths fabricated with stone from a Vermont quarry and weighing up to 17 tons each. The site has been reinforced with high density styrofoam, concrete, and steel rebar to support the monoliths which sit atop the underground portion of the memorial 70 feet below. 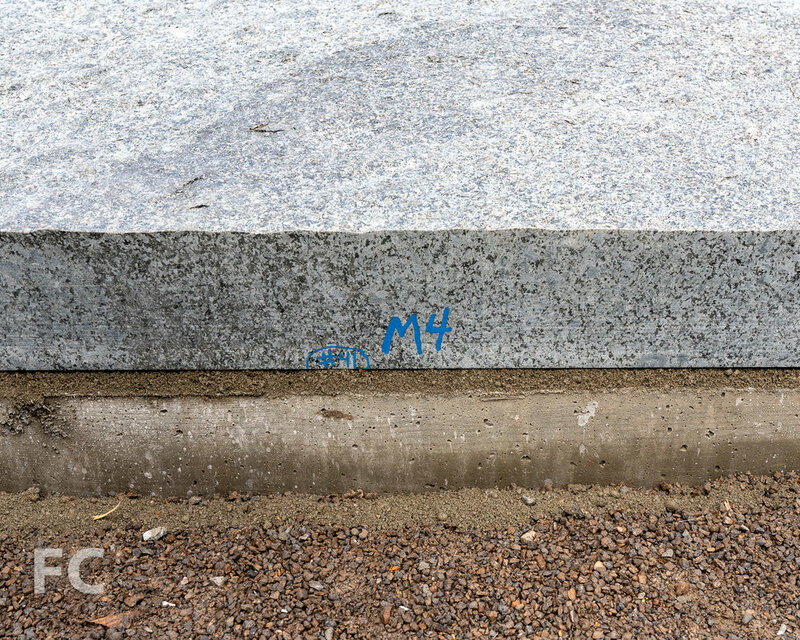 Before the opening on May 30, steel from the original World Trade Center site will be incorporated into grooves that mark each of the monoliths and a cobblestone path through the site will be installed. Architect: Michael Arad; Landscape Architect: PWP Landscape Architecture; Program: Memorial; Location: World Trade Center, New York, NY; Completion: 2019.